Today I’m going to be showing off some very pretty indies- Hydrangea and Future from Polished Components! I picked these up awhile ago, but I just got word that Hydrangea can *no longer be made*. There’s only a very small number left (single digits), so if you really want it- I suggest you try to grab one quickly! I’ll post links at the end of the post. First up I’m going to show off Hydrangea. 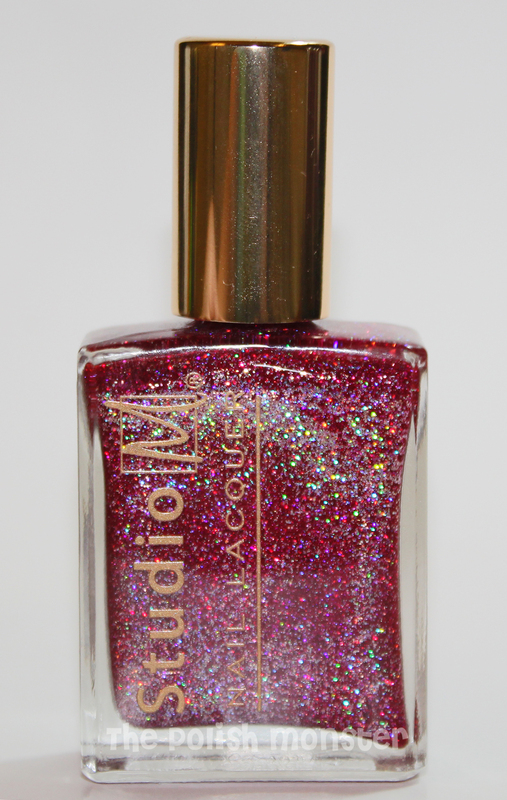 This is a beautiful shade of purple, packed with purple and blue shimmer. If you’re a fan of simple, understated indies over glitter bombs, Polished Components is a great store to check out. She offers a little bit of everything! For these photos I used 2 coats of Hydrangea. 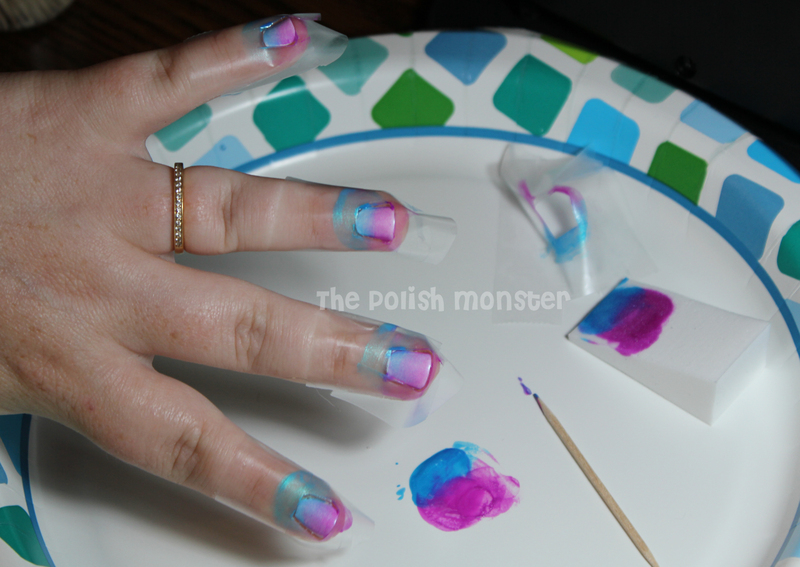 I didn’t use a topcoat, because I knew I would be adding Future to it once photos were done! Next up, I layered 2 coats of Future on top of Hydrangea (although 1 would have been plenty). 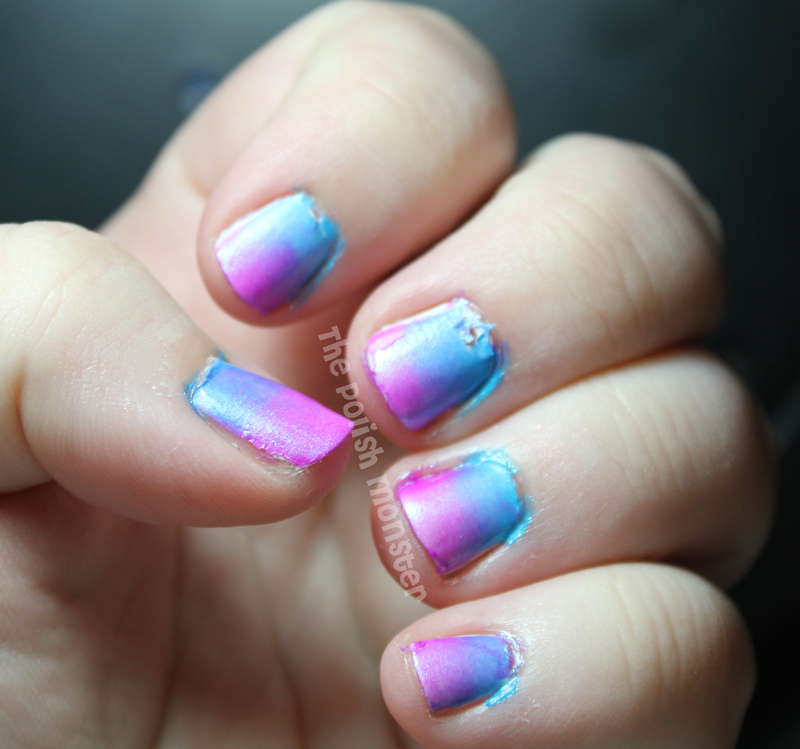 Future is a really awesome flakie topcoat. Ya’ll know how I’m a sucker for flakes! The flakes in Future are the kind I love- the thin variety that go on smoothly. They’re a beautiful mix of iridescent purple, blue, and a charcoal color. The purple are a bit larger than the blue and charcoal so that you don’t see them as easily, but they give off a beautiful color shift. This is definitely a different mix of flakie colors than any others I have! Again with this mani, like many over the past week, I did no cleanup. While it may not look as perfect as it could, if the application is good and doesn’t ‘need’ cleanup, I like to try and leave it as normal as possible for everyone to see what they’d be working with! You can find Polished Components here on Etsy, and here on Facebook. She has some adorable new labels for her bottles now too- but I bought mine a few months ago! Be sure to check out the shop! I have grand plans of posting something tomorrow, but my track record with ‘unplanned’ posts isn’t good. So if not tomorrow, I’ll see you all on Friday! I’m back to normally-scheduled Try It On Tuesday this week! Studio M is only sold in Meijer stores, which are only in a handful of states in the Midwest- which is nowhere near me. 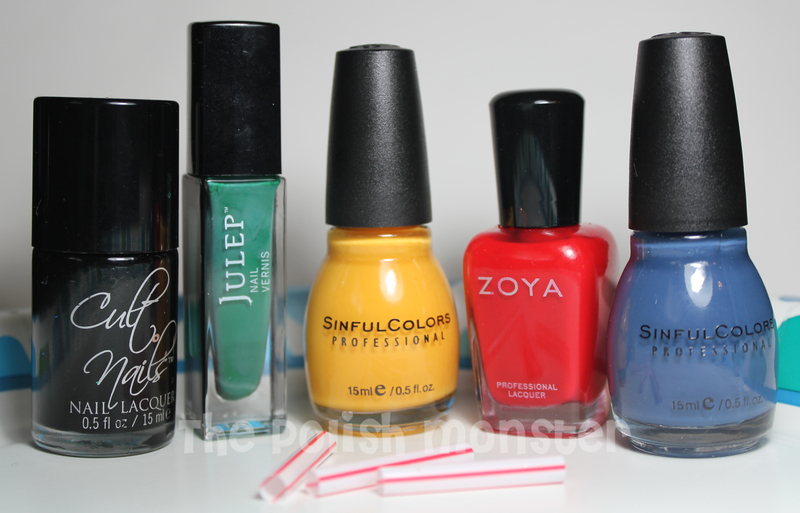 They’re basically Color Club in different bottles- so odds are good you’ll be able to find most shades that way (though Color Club is ALSO not sold around me). 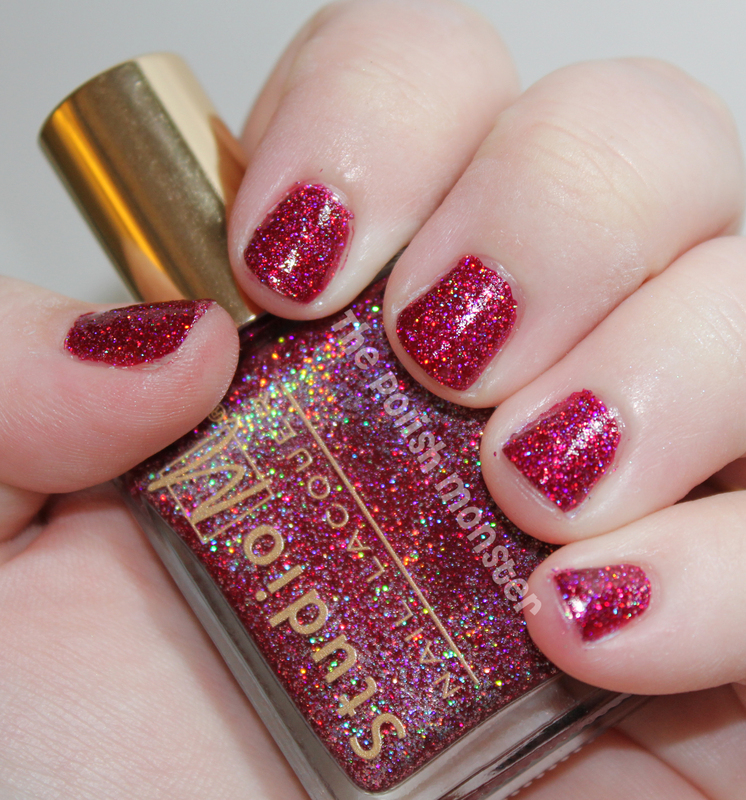 Slammin’ Red is a gorgeousssss red packed to.the.brim with red and silver holo glitter. I did 2 coats for the photos, but it was almost opaque with 1 coat (just barely a VNL- yes, some nails have finally grown enough that I can have nail lines!). 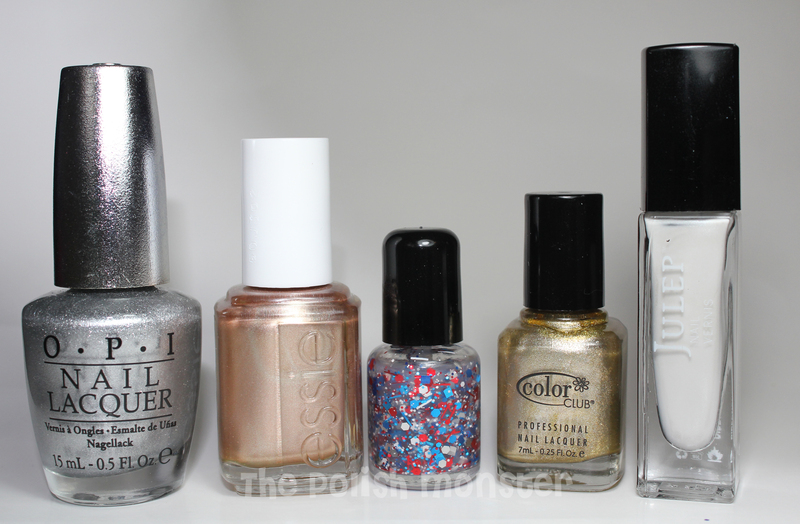 Not many glitter polishes can claim that! This polish was a little thick, but was still easy to work with and apply. If you pick up this color, I would recommend a base coat! I didn’t have staining because I used a base coat, but I got the impression that it may stain. Studio M’s can be found at Meijer stores for $2.99! This post is not technically late. Well ok, I originally promised it Thursday. So it’s late from that date. Then I promised Saturday. As I have not yet gone to bed, I still consider it to be Saturday in my head. So I’m totally still on time. If you haven’t already, be sure to enter my latest giveaway! 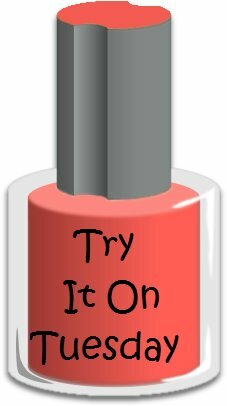 At the beginning of the month, I posted about 3 colors from Nicole by OPI that I found at Target, which you can see here. I know for a fact 2 are Fall Target exclusives, though I don’t think Look At Me Look At Me! is new. This past week Target was having a sale on NOPI colors, and I had coupons for them… so I bought the remaining 3. And here they are! Mer-Maid For Each Other, Iris My Case, and You’re S-Teal The One! First up I’m going to show off You’re S-Teal The One. You’re S-Teal The One is a pretty bright blue metallic-y shimmer color. In the bottle it appears that there’s a strong (and beautiful) purple color shift, but that honestly doesn’t translate to the nail. I could barely see any purple once the polish was on- if I squinted very closely at a nail, I could see some purple shift in individual glitters. This was REALLY bright! I definitely noticed my nails a lot while wearing this. This is 2 coats. It went on fairly well- I don’t think I did much in the way of cleanup for any of these colors. Next up- Iris My Case! Iris My Case is a beautiful purple to greenish-gold duochrome. Like You’re S-Teal The One, the effect was more prominent in the bottle. 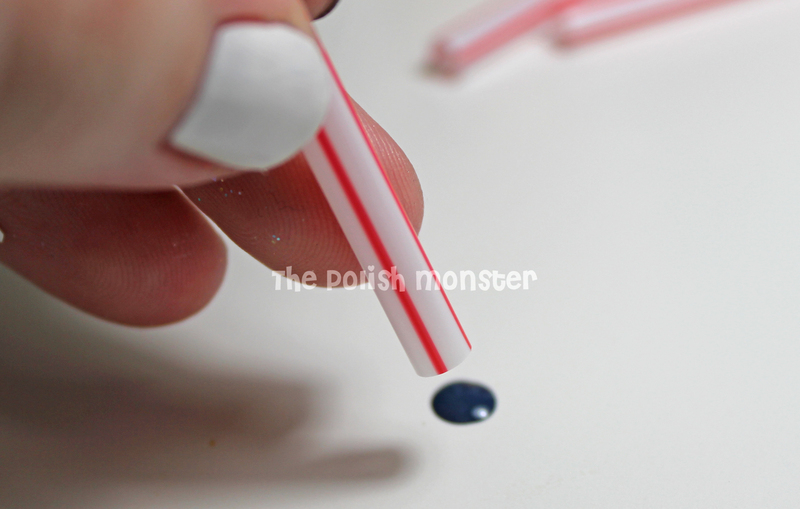 However, you could still see the duochrome on the nail- if you look closely in the photos you can see where the effect happens. A very pretty addition to any collection- I’m really looking forward to China Glaze’s upcoming Bohemian collection, which will be full of duochromes like this but probably more pronounced. So this one will still be worth having! 2 coats again, not much in the way of cleanup. And finally, we have Mer-Maid for Each Other! When I first saw this display a month ago, I didn’t intend on picking this one up because I thought it was for sure a dupe of OPI’s Just Spotted the Lizard (which is a dupe of Chanel Peridot….). 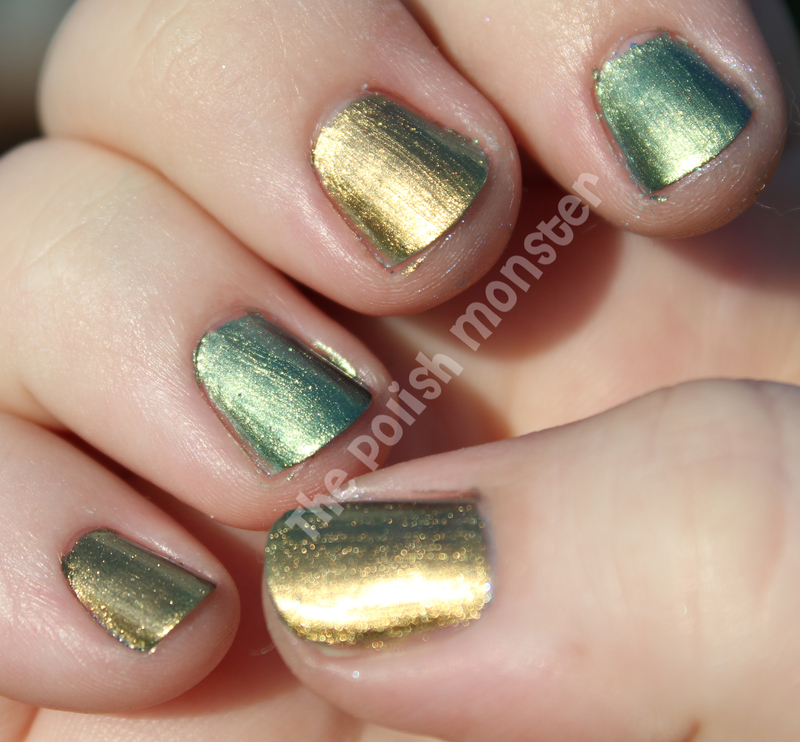 However, I’m happy to say it’s NOT a dupe, and in fact I find it much prettier! 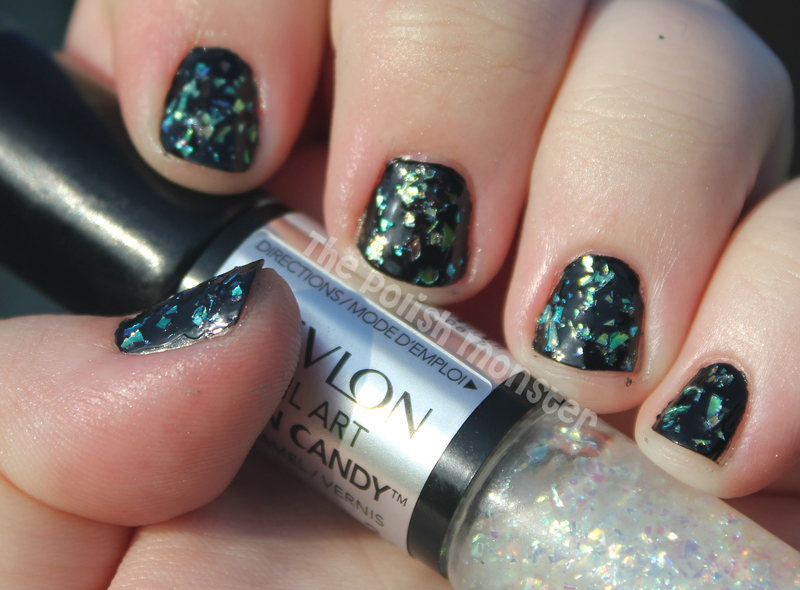 Mer-Maid for Each Other is a very pretty green duochrome. Like Just Spotted the Lizard it leans golden in some lights, but unlike Lizard it also leans blue. The base color is definitely a blue green rather than a golden color. The name for this one is really fitting, because I instantly think of mermaids and the sea when I see this. Like the others, this was 2 coats with minimal cleanup needed. 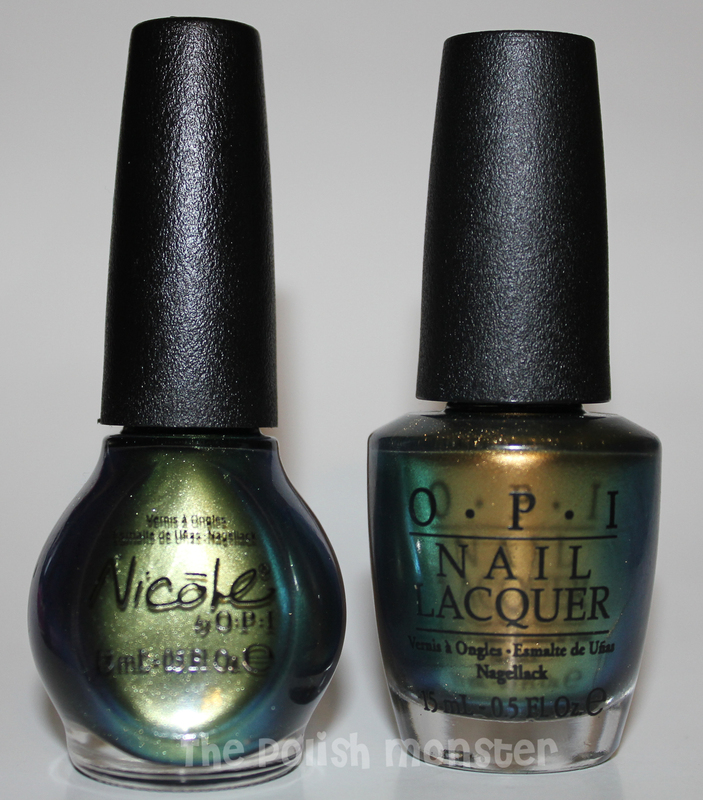 I decided to do a side-by-side comparison of OPI’s Just Spotted the Lizard and Nicole by OPI’s Mer-Maid for Each Other. I completely forgot to include Sephora by OPI’s Mermaid To Order- but I can promise that REALLY doesn’t look anything like these 2. You can already see from the bottle shots when side by side that they’re nothing alike- but in the store without seeing both together it’s hard to tell. In the bottle, Just Spotted the Lizard appears to have an AMAZING color shift from the color of Mer-Maid to Order all the way to golden, but that just doesn’t really translate to the nail (seems to be a common problem!). There you have it! I’d say these are definitely worth picking up if you can find them- they’re at Target and retail for $7.04 (though this past week, they were on sale for $6.50 at Target). You can also find most of these and the colors from the previous post at Target’s website, too! See you all in a day for the next Mani Monday! 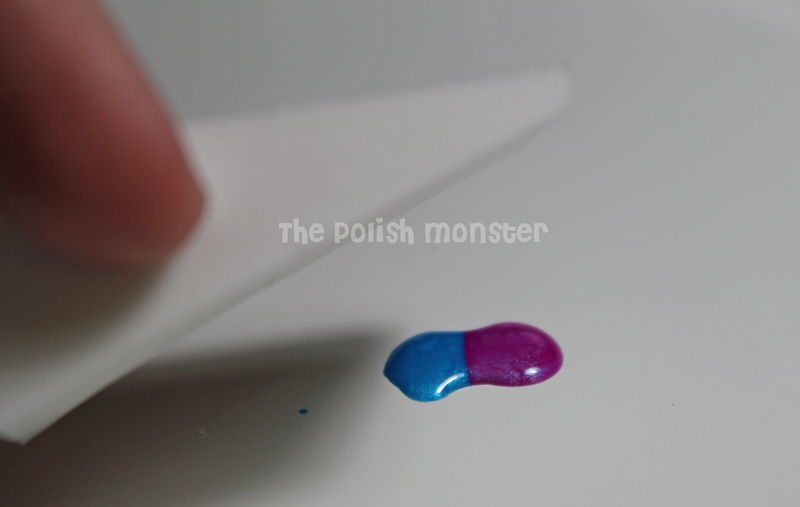 Polish Monster’s 225 Followers Giveaway! UPDATE: I’ve heard from a few people that Rafflecopter is not mobile friendly- it seems rafflecopter isn’t friendly with a lot of things (maybe they need a good competitor, yikes)… in light of this, I’m changing how to enter the giveaway. There will now be a form linked at the bottom to fill out instead of the link to rafflecopter. I added an extra fun question that’s mandatory to answer, so that everyone still gets 3 entries and 1 extra for sharing. Just say Elmo if you don’t care/don’t know! IF YOU ALREADY ENTERED VIA RAFFLECOPTER, I will manually move you over to the new document. Of course, you are welcome to re-enter the new way as well. Just leave me a comment to let me know! Wow! Ya’ll, I can not believe I’m already posting my next giveaway! I actually have quite a few things saved that were intended for the 100 follower giveaway, but we surpassed that and then some while the 50 followers giveaway was live. And we kept growing! I decided to make a fun one ‘in between’ larger giveaways- I don’t want to spoil ya’ll too much! Mega Nailattude posted a picture a few weeks ago on Facebook of the *cutest* package of Monster-themed mini nail polishes from Toys R Us. I died a little when I saw them, and of course ran out and bought a package- or 2. I originally planned to give the entire thing to 1 winner, and then decided to do this instead! 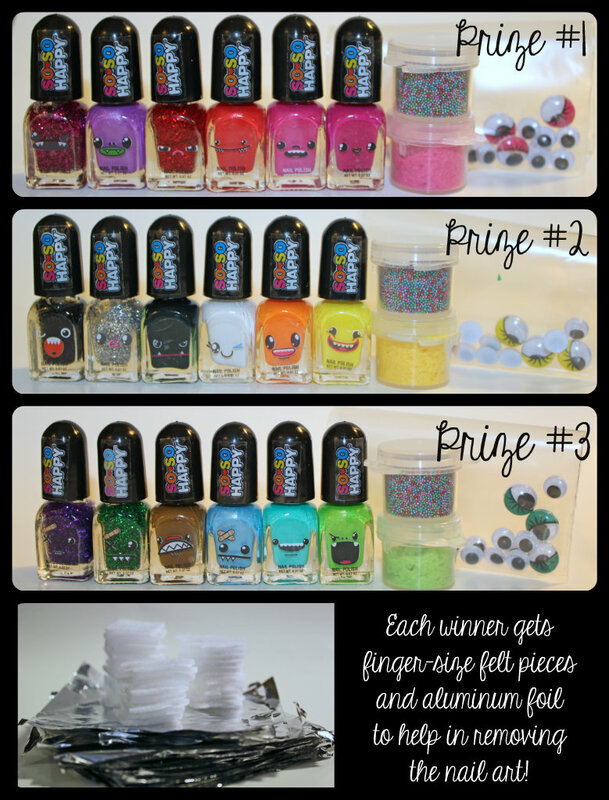 There will be 3 winners again- and each winner will receive a small ‘Monster Mani’ package! There may be a few other small mani-related surprises, but I don’t have those yet and didn’t want to delay posting the giveaway I promised! Like last time, I won’t put any restrictions on who can enter due to location. I’m fortunate enough to be able to handle the shipping costs for other countries, so I’d like to be able to give my international followers a shot too! If for whatever reason I can not ship to you and you’re a winner, I will provide something else very awesome. Also like last time, I’m keeping this simple and straightforward. You get 3 entries for following on Facebook, and can get 1 extra by sharing. The giveaway will be live for 1 week (I don’t like dragging things out :)). So three entries for following me- though this time, I’m limiting it to Facebook. I didn’t really specify last time, and some of you only followed via Pinterest- which was completely ok based on my rules, but not quite what I had intended LOL 😉 I had thought about adding Twitter, but really I do most of my interactions via Facebook because Twitter still confuses me. I’m so sorry if you only follow in one of the other ways! If you absolutely can’t follow via Facebook, enter anyway and just leave an explanation in the box. You can earn one additional entry for sharing in whatever way you want. You can do this anywhere- just please link it, or tell me where I can find it to verify. We did have a few shares that were not public last time that I had to throw out- please, be sure your share is public. The reason sharing is only 1 extra is because while I love getting the word out, I really don’t want to put my followers that don’t feel comfortable sharing at a significant disadvantage. I personally do not share very often, so I can’t expect my followers to all do it unless they want to! It’s time for another Flakie Friday! 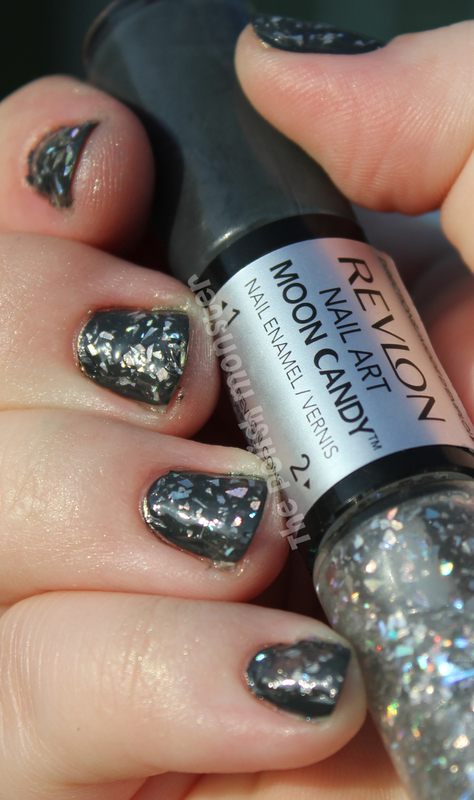 Today I’ll be featuring 2 of the colors in Revlon’s new ‘Moon Candy’ line. These… aren’t exactly cheap. They run at around $8 each, which is why you only see 2. 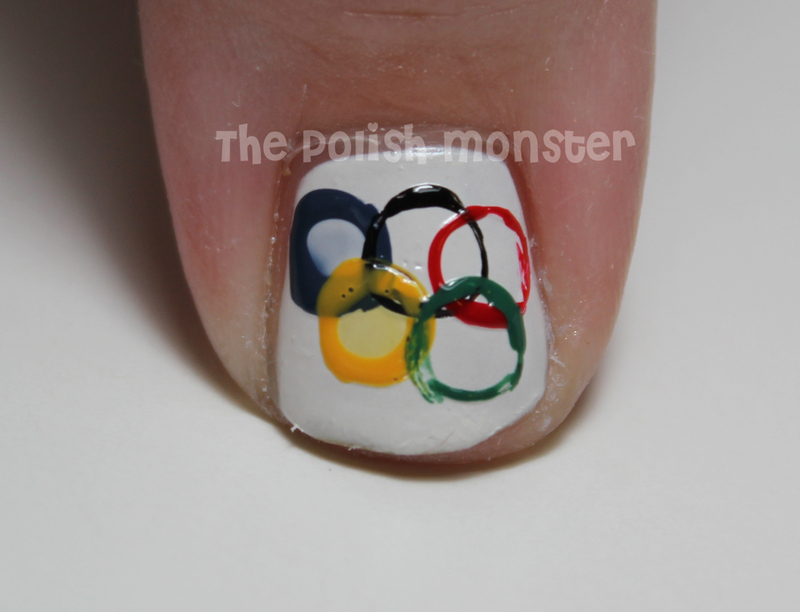 I just couldn’t justify the cost (Imagine that, me not justifying a polish purchase!). 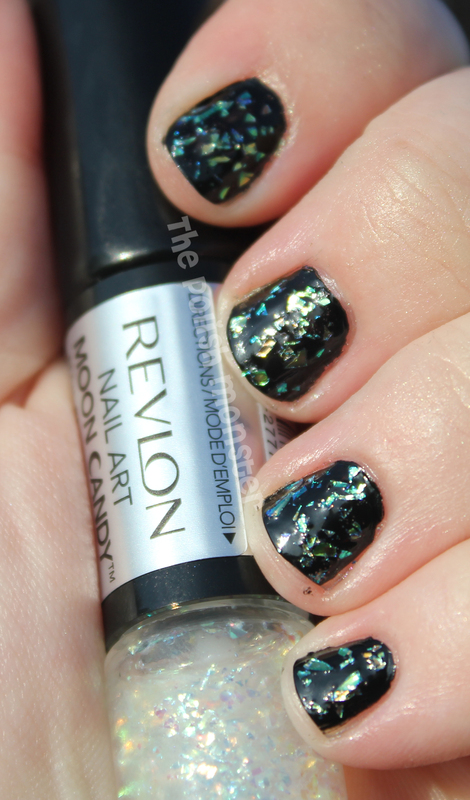 They’re a double-ended polish, which Revlon seems to be releasing a lot of lately. Crackles, neons, now flakes. I knew this before I purchased, but sadly these aren’t true flakies. 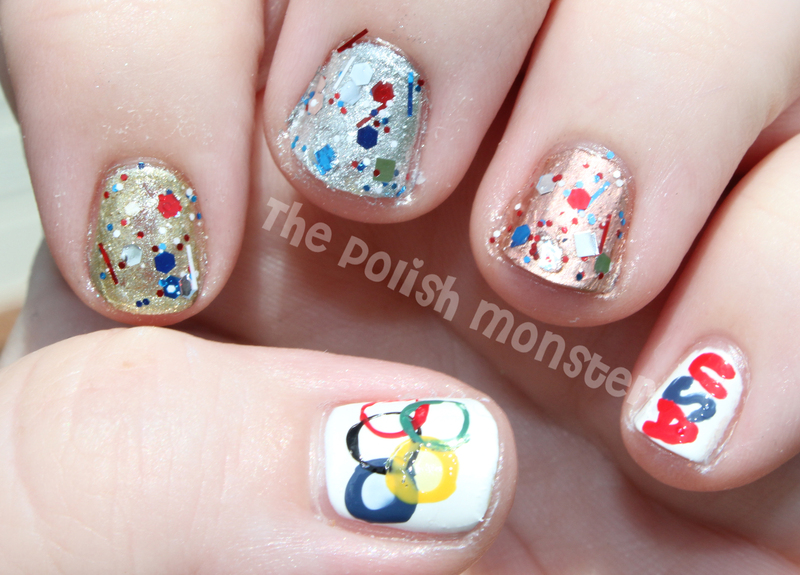 They’re the thick, mylar flakes that will stick up on your nail and feel chunky. I still like these kinds of flakes, but they’re not my favorite. There’s 8 colors total right now, with 2 more set to be released at a later time. On one end you have a solid color, on the other you have the flakes for ‘layering’. Most of the time, the 2 colors are coordinated. 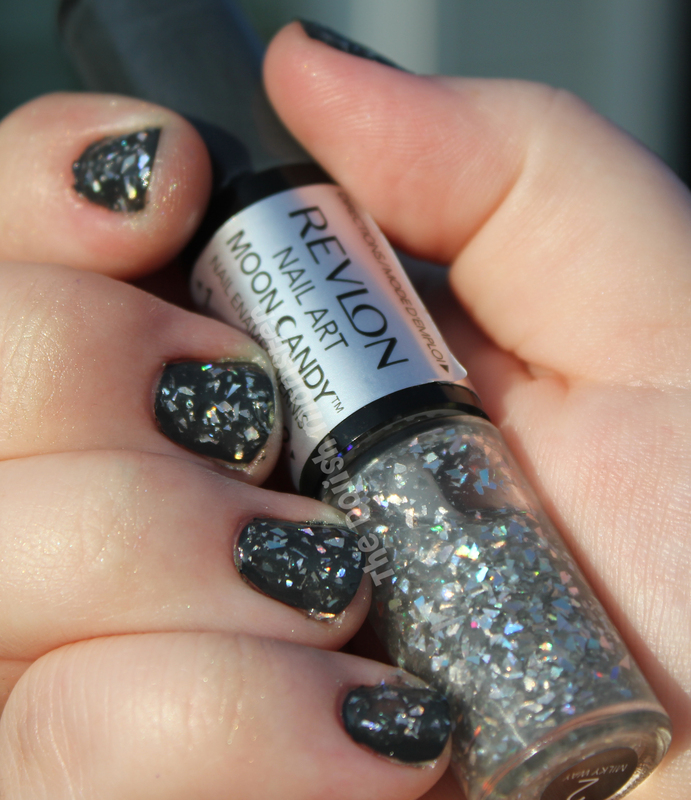 First up, we have Moon Dust! This one comes with a black unnamed color on the other end. It was a 1-coat polish, though there was a tiny bit of bald spots. Since I was sticking heavy flakes overtop, I didn’t bother with 2 coats. This is 1 coat of the Moon Dust flake topcoat. I had to do a tiny bit of dabbing, but not much. The second polish I bought from this line is Milky Way! This one, I did like. It comes with a dark grey unnamed polish- and I don’t have a darker grey, so that’s always a plus. These are also different than any other flakes I have- and as someone devoting 1 day of each week to flakies, you can be sure I have a ton! The shards in Milky Way look to be similar, though possibly smaller, to Color Clubs Diamond Drops (which I don’t own yet). Rather than being iridescent, they’re solid silver with a holo finish. Like Moon Dust, I used 1 coat of the grey, and 1 coat of flakes. Coverage was ok- only some bald spots and some dabbing. 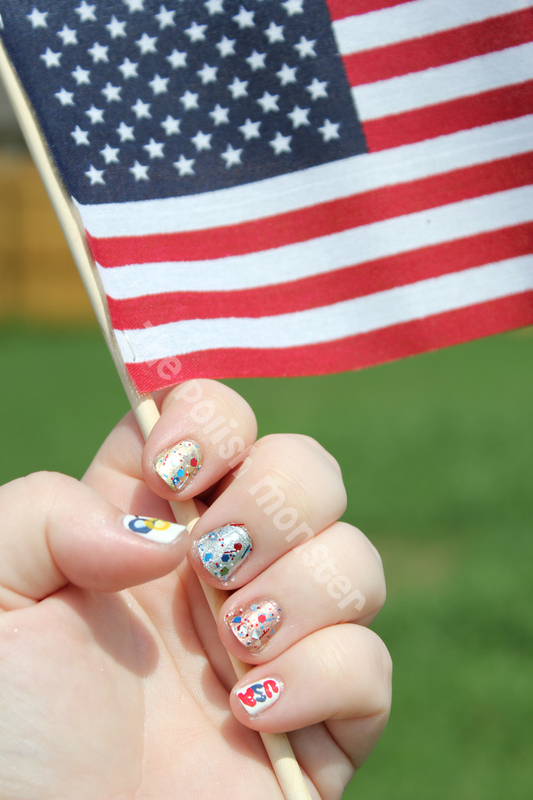 One word of advice- be sure that bottom coat is dry before you add the flakes. I was in a hurry, and adding the flakes sometimes pulled my undercoat and completely messed it up. These also took forever to dry- I didn’t add a topcoat, but usually with only 2 coats of polish the dry time isn’t too long. Not the case here. Overall, I’m pretty disappointed. I’m still happy I bought at least Milky Way, but when these were first announced I was really hoping they’d be more traditional flakies, ala Hidden Treasure or others like it. But it’s a start! If you’d like to see a great comparison of the *entire* collection, head on over to SoFlaJo’s writeup here! You can enlarge any photo by clicking on it to get a closer look. And also compare her Moon Dust with mine- they look nothing alike! I want hers, haha! I need to go out to help with a fundraiser tonight, but I’ve already been organizing pictures for both the next giveaway (I PROMISE it will go live later tonight!) and my NOPI Target post. That was supposed to be for yesterday, but my week was more hectic than anticipated- but photos are edited, so I will have it set to post tomorrow.